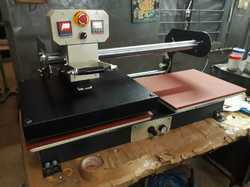 - Size 6" X 6"
Max Fabric Width: 16" x 20", 18" x 24"
We are offering Sticker Fusing Machine to our Clients. 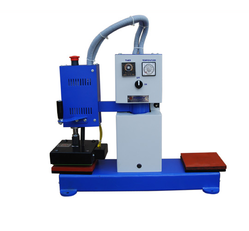 Manual Fusing Machine For Small Transfer stickers Like Logo and Mono. Being one of the renowned firms in the industry, we are involved in providing a high-quality array of Fusing Machine.